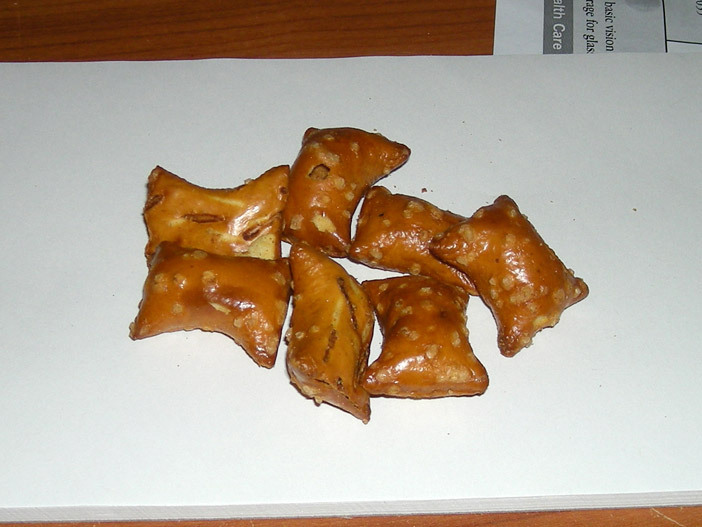 You are looking at peanut butter filled pretzels. You get them at Trader Joe's. These things are so good! 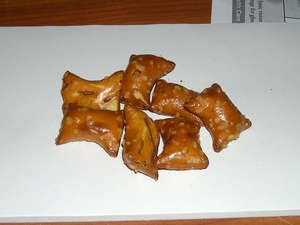 I love peanut butter and I love peanut butter filled pretzels!